Joseph Cirincione joined Ploughshares Fund as president in March 2008. 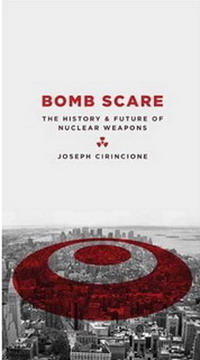 He is author of Bomb Scare: The History and Future of Nuclear Weapons and served previously as senior vice president for national security and international policy at the Center for American Progress and as director for nonproliferation at the Carnegie Endowment for International Peace for eight years. He worked for nine years in the U.S. House of Representatives as a professional staff member of the Committee on Armed Services and the Committee on Government Operations, and served as staff director of the bipartisan Military Reform Caucus. He teaches at the Georgetown University Graduate School of Foreign Service and is a member of the Council on Foreign Relations. His previous books include two editions of Deadly Arsenals: Nuclear, Biological and Chemical Threats, (2005 and 2002), and previous reports include Universal Compliance: A Strategy for Nuclear Security (co-author, March 2005) and WMD in Iraq (co-author, January 2004). He is the author of over 200 articles on defense issues, the producer of two DVDs on proliferation, the former publisher of the comprehensive proliferation website, Proliferation News, and is a frequent commentator in the media. In the past two years has delivered over 150 speeches around the world and appeared in the 2006 award-winning documentary, Why We Fight. Cirincione is an expert adviser to the Congressional Commission on the Strategic Posture of the United States, chaired by former Secretary of Defense William J. Perry and former Secretary of Energy and Secretary of Defense James R. Schlesinger. He also serves as a member of the Advisory Committee to the Commission on the Prevention of WMD Proliferation and Terrorism, headed by former Senator Bob Graham (D-FL) and former Senator Jim Talent (R-MO).